Inside the Cycleplex- The Weird, Wild World of Google Bikes – Wired from Conference Bike on Vimeo. 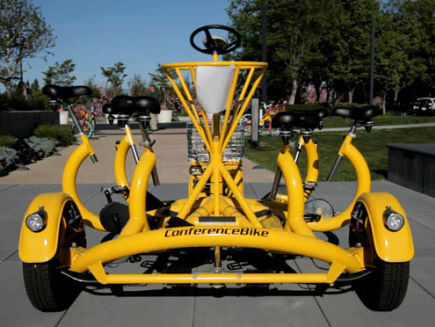 Conference Bike is a seven-person tricycle designed by artist Eric Staller. 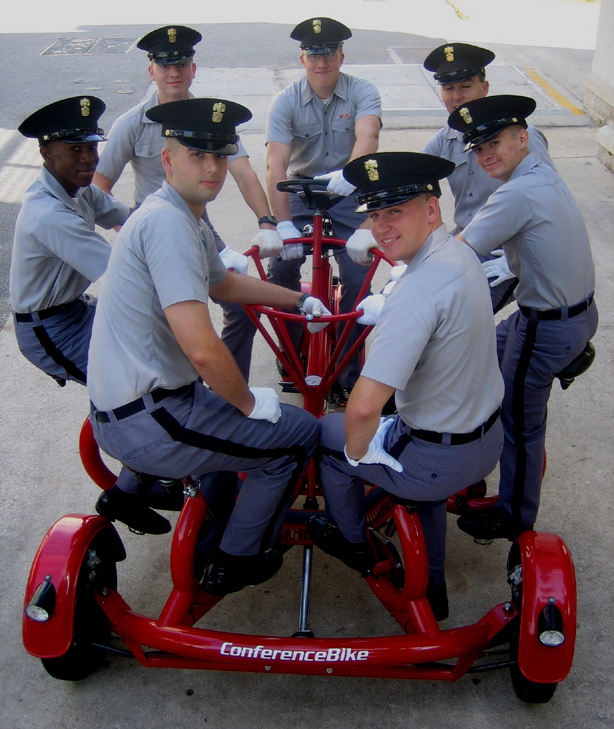 The bike allows for team building and sharing while exercising. 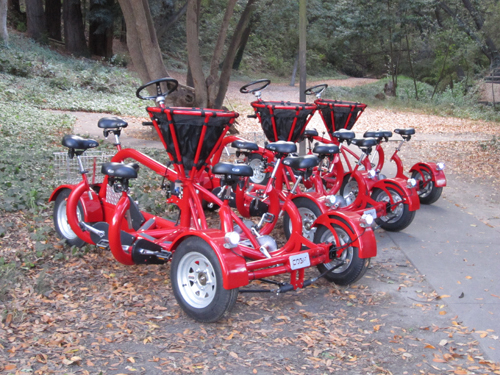 Find out how Google uses the CoBi for their team-building activities! 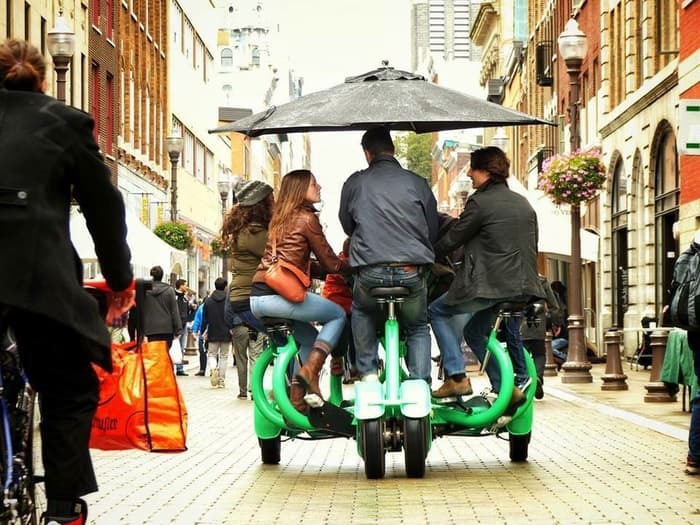 I think it’s time we stop getting surprised over the sort of experiences technology is willing to provide us with. 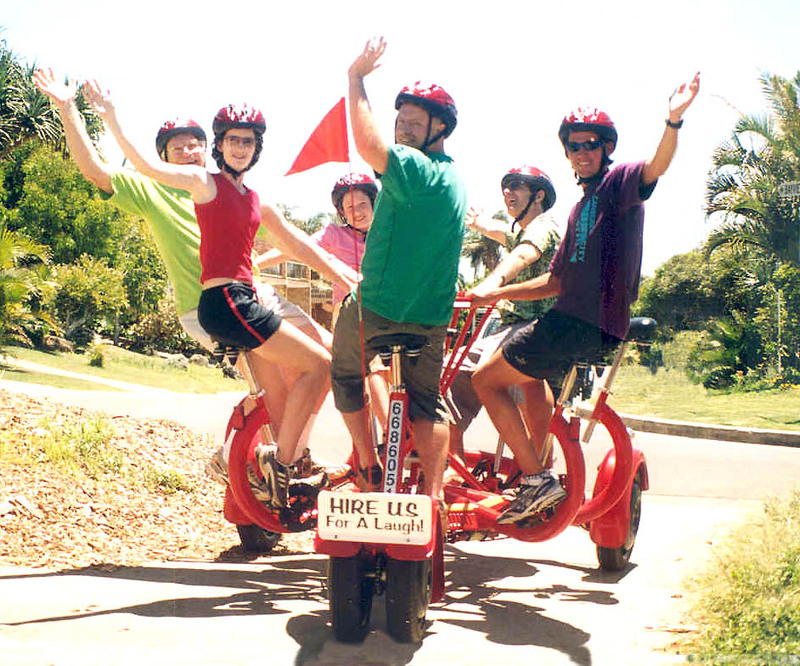 One such example is the ConferenceBike which is a seven seater bicycle. 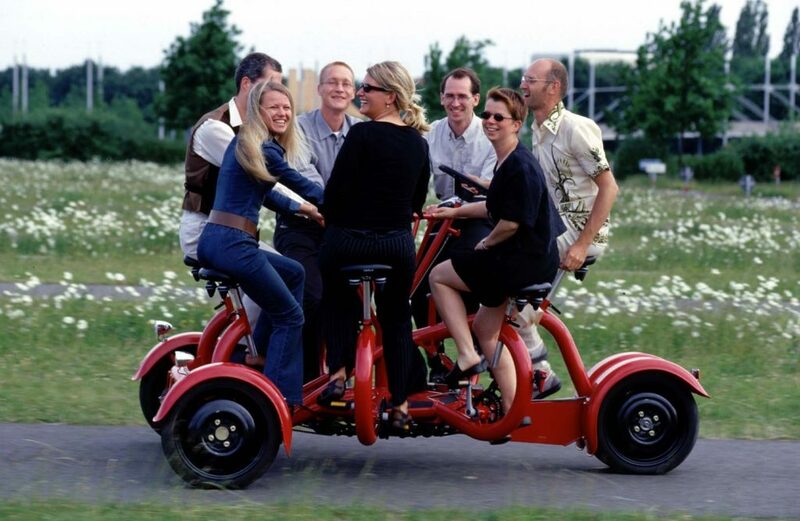 You can now conduct meetings literally on the go as all the riders of the bike face each other, forming a circle. 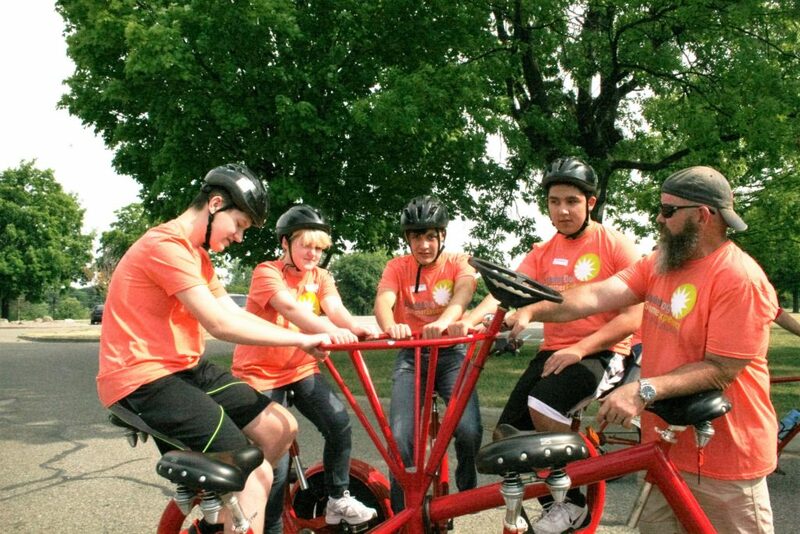 The ConferenceBike, a seven-seater bicycle with all riders seated facing each other in a circle, is a different kind of conference table. 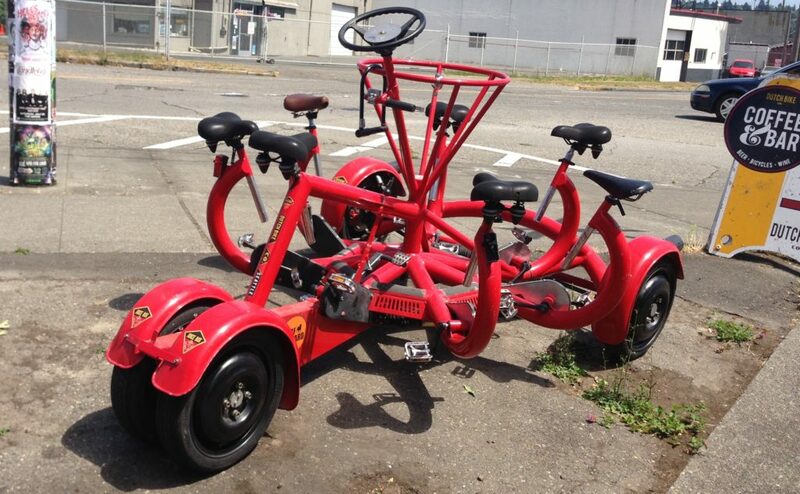 Conference Bike is popular among Dutch Bike customers in Ballard, Seattle. 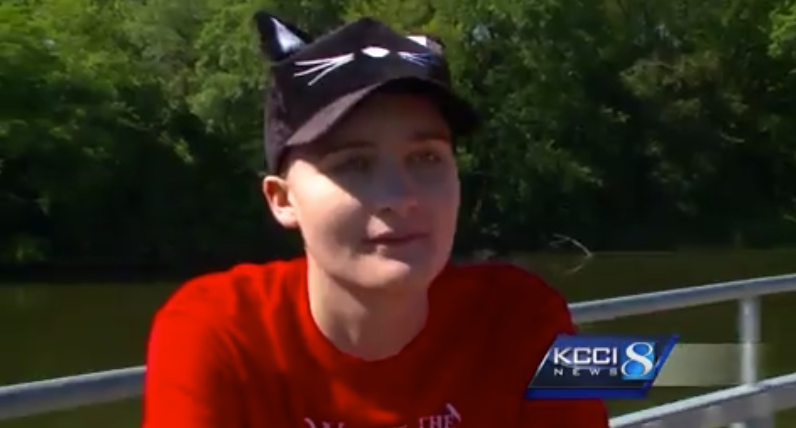 Check out this news article from Quirksee to read the full story!